Eero's home Wi-Fi system creates a network to make sure every room in the house has strong, reliable Wi-Fi, even the basement or back yard. Sure, kids still need pencils and tissues and most likely a new backpack, but today’s students need tech gadgets too. From laptops, phones and chargers to smart reminders and routers, here are your must-have “it” gadgets to start the school year right. You don’t need to spend a fortune to get a solid, dependable laptop that will last for several years. Acer’s Aspire 5 has everything your student needs; a 15.6-inch Full HD display, a powerful processor, plenty of ports including the latest USB-C and an HDMI out for connecting to a larger monitor. It also has 1 terabyte of data storage for all the videos, music, and photos a teen can accumulate, plus plenty of room left for schoolwork. Why use boring black accessories for your computer when you can personalize them all? Logitech’s M325C mouse is an affordable, wireless mouse that comes in fun, bright colors and designs. They’re small, portable and functional with a battery that will last over a year. The SanDisk Cruzer flash drive comes in a variety of colors and patterns. Whatever mouse most matches your student’s personality, you can get a portable USB flash drive to match…or not. The SanDisk Cruzer is a must-have for transporting homework and data files to and from school or a friend’s house when working on a shared project. They come in a variety of colors and patterns, as well as a range of storage capacities. Use this tiny device to back up photos, files, music and more so if the laptop crashes, all the files are protected and safe. We may be walking around with powerful hand-held computers in our phones these days but calculators are still a requirement in many middle and high schools. Get one with the latest tech that will last the next few years. Casio’s Prizm fx-CG500 has a high-resolution, color, touchscreen display, a large screen and an easy-to-use keyboard. Best of all, it can be used during the AP and SAT exams. If you’ve managed to make it to middle school without buying your student a smartphone, this is probably around the age you’ll finally give in. The good news is you can buy a budget or mid-range, well-designed phone that can handle all the texting and selfie snapping. And of course, staying in touch you. Motorola’s E4 is a budget-priced Android phone that’s water repellent and has a fingerprint sensor for extra security. It comes unlocked so it will work with any carrier. If your student loves to take pictures, snap up the Asus Zenfone 3 Zoom. It’s more of a mid-priced Android phone, but still hundreds of dollars less than the latest iPhone or Samsung device. It’s packed with the latest tech, like a crystal clear 5.5-inch display, and has an innovative camera design for taking great-looking photos and selfies, plus an optical zoom for high quality close-ups. The Mighty Purse has a built-in battery that can charge your teen's smartphone. Sometimes teen girls want a little more fashion and a lot less bulk than a backpack, especially for those times when they just want a phone, keys, a wallet, and a phone charger. The Mighty Purse fits all that and has a built-in battery that charges iPhones and Android phones so there’s never an excuse for not calling home if they’re running late. The purses come in a variety of colors and styles that can be worn as a wristlet or cross body bag. Homework, studying, and music seem to go together these days — so get your kids a portable speaker that can go everywhere they do. UE Wonderboom is a pint-sized Bluetooth speaker with big sound and plenty of bass. It’s small enough that kids can move it around the house with them, but the sound is large enough to rock out after a group study session. There are lots of colors to choose from and it gets bonus points for being waterproof. Can’t get your kid up in time to catch the school bus? Try some music and party lights to get them out of bed. iHome’s Color Changing Clock Radio has two alarms you can set, plays music from a Bluetooth-connected or wired device, and has colored LED lights kids can program depending on their mood. It also has a built-in USB charging port so they can always keep their phone fully charged. However, we recommend kids never sleep with their phones in the bedroom, it’s best to have a family charging station in the kitchen. If you never want to hear the ‘my battery was dead’ excuse for not being in touch, get your student the Mophie Charge Force Case and a powerstation mini portable battery. The case not only protects the smartphone from accidental drops, it also gives it wireless charging capability. That way, when the battery starts to drain, they can attach the powerstation mini and charge it back up. The nice thing about this solution is there’s no need to carry a bulky charging case; the mini attaches magnetically and can be removed as soon the phone is charged. Every family needs a smart assistant to quickly get answers to questions about the day’s weather and traffic, but students will find Google Home especially useful for keeping track of after-school activities and getting help with homework. The voice-controlled smart assistant can answer questions like ‘what is 2.6 squared’ or ‘what’s the capital of Australia?' Not sure if there’s softball practice after school? Google Home can list all the day’s events on your calendar. One of the favorite use cases is asking Google to play the “studying” playlist. Families with kids usually have a large amount of Wi-Fi-loving electronics in use at the same time. Between the laptops for school and work, movies and music being streamed and a video game being played somewhere in the house, content starts buffering and rooms can’t reach the Wi-Fi. Eero’s second generation home Wi-Fi system solves those speed and connectivity issues. 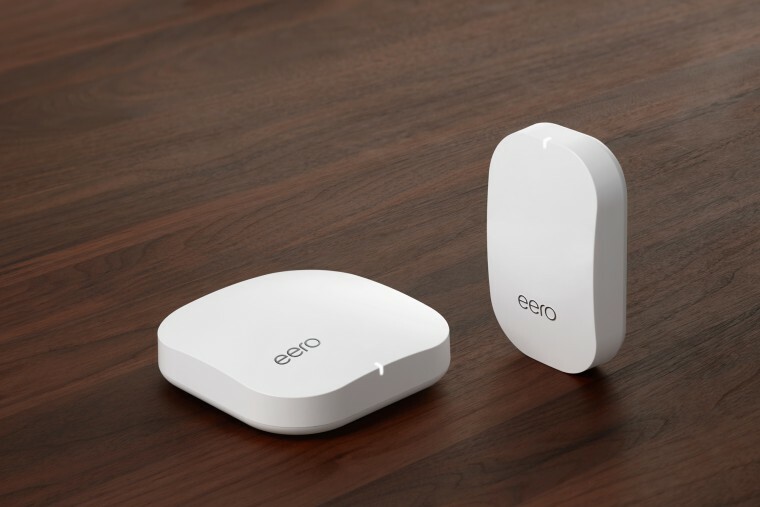 It replaces your router and, with the help of eero Beacons strategically placed throughout the house, creates a mesh network to make sure every room in the house has strong, reliable Wi-Fi, even the basement or back yard. Parents will especially like the Family Profiles feature that lets you set time limits for each user or individual devices. No video gaming until after homework is done? Use the app and shut it down. Kids are notorious for losing things, especially when rushing out the door to catch the school bus. Pixie is a Bluetooth-enabled tracker that helps locate those missing items. Attach one to a smartphone and the others to a backpack, keys, wallet, whatever they’re likely to lose. The Pixie app on your phone uses augmented reality to show you where it is, and guides you there, in case it’s buried under couch cushions and you can’t hear a beeping sound. We recommend getting a bundle pack of four Pixie points because we know you’re going to want to attach one to the TV remote that always goes missing.